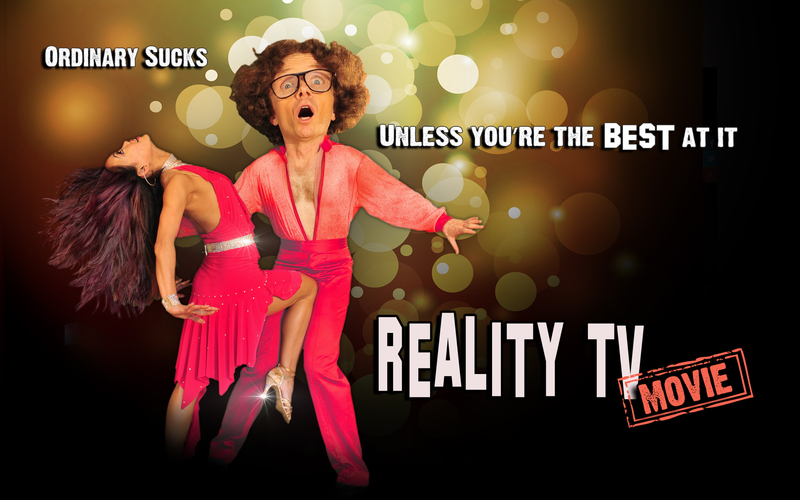 Reality TV Movie – The funniest comedy spoof of Reality Shows ever – REALITY TV MOVIE. Dance, Drama, Action. In an era where Reality TV shows dominate the networks, Bergie Barnsworth takes a long shot at the biggest reality tv show of his time - "Chance of Your Life!". Despite his two left feet, he starts to win the audience over with his determination and vow to perform the most dangerous dance move that coincidentally killed his parents. His unprecedented popularity threatens fellow competitor, Maximus, who schemes to eliminate Bergie from the show at every turn. As competition escalates, so does the satire of reality TV moments and personalities! An outrageously funny, yet heart-warming parody of Reality TV shows… yes, it's about time! Very Entertaining. You HAVE to see it, Dancer or NOT. Reality TV Movie is laughing out funny. It's Fantastic!